The name Hagonoy is collated by different people pointed out that the origin of the name Hagonoy was named from an abundant plant that thrive well in the place. One can easily get to the chapel, the façade grilled by two century old acacia trees, beaming pride with her thick branches and leaves that almost cover the blue skies. It also serve as a bird sanctuary during rainy and bad weather. 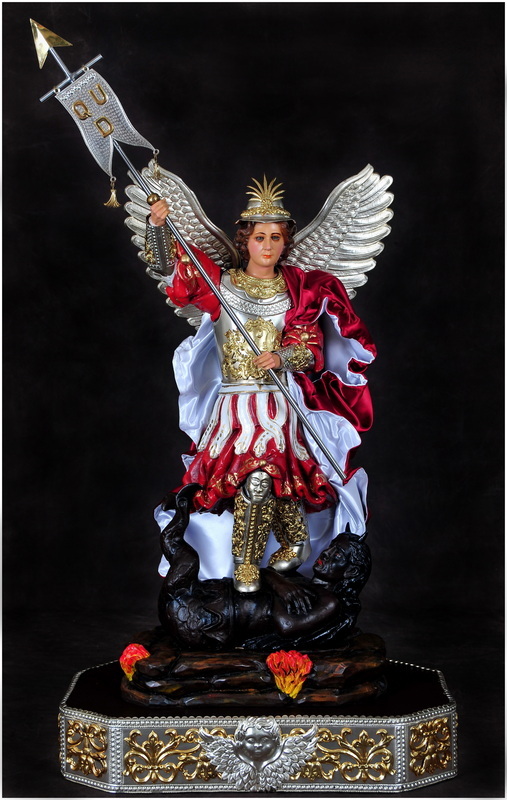 the image of St. Michael is being placed on occasional rites. Week. During the passing of time, the two acacia trees was cut off to the dismay of some religious group. It was in 1988 when the chapel was instituted as Parish Appointing Rev. Fr. 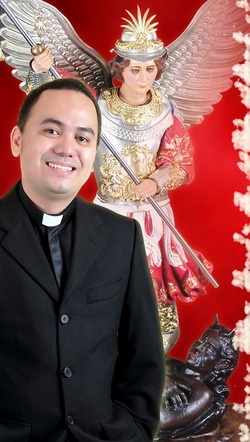 Wilfredo Jundis as the first Parish Priest of St. Michael Parish. As time passes by, different Parish Priests were assigned giving and guiding the parishioners dutifully responded. Mandated Organizations was organized. Constructions and repairs of the former chapel was in progressed. Now the Parish was given a new look by Fr. Clemente Ignacio in 1992, now a parish rector in Quiapo. When he remove the big stone slabs. 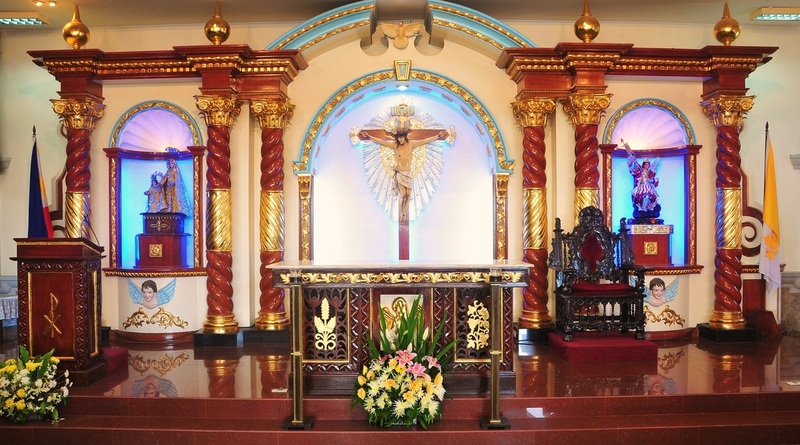 He made it a point that the church would be more spacious and use the big slabs of stones to build the grotto of the Our Lady of Lourdes, in Hagonoy Elementary School, now C.P. Tinga Elementary school. 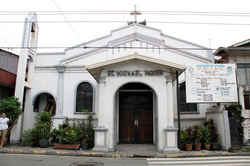 It was consecrated on the feast day of St. Michael on September 29, 2011 with the restoration of the antique image of patron saint. The significant dates that is being celebrated by the people of Hagonoy. 1. May 8 – date of the apparition of St. Michael the archangel in the mountain of Gorgono, Italy on the 5th century and followed by four more apparitions also in Gorgono, that’s why a Basilica was built in his honor. 2. September 29 – on this day a dedication was accorded to St. Michael and a basilica was built in Solario in Rome, Italy for the many blessings and favors of St. Michael assorded to his devotee. The name “Po Ige” was coined by our elder folks to our dear St. Michael as a name of a good person, good warrior and defender for evil.